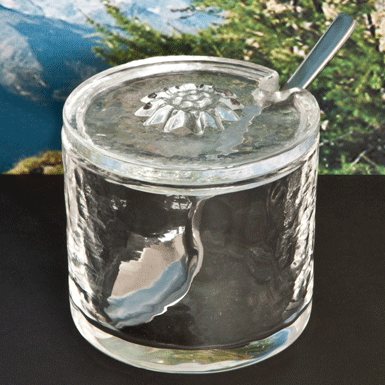 Swiss jam belongs in an Edelweiss jam pot - it´s as simple as that! Upper part hand poured into the mould. Lower part Mouth-blown.